The spaghetti chart illustrates the reality of the situation. The property management system (PMS) continues to be at the core. Then channel management, revenue management, reservations software, CRMs, mobile technology, and a multitude of other tech pieces swirl around the PMS haphazardly. Hoteliers struggle just in managing the technology. Making good sense of highly valuable data buried deep in the spaghetti is virtually impossible. 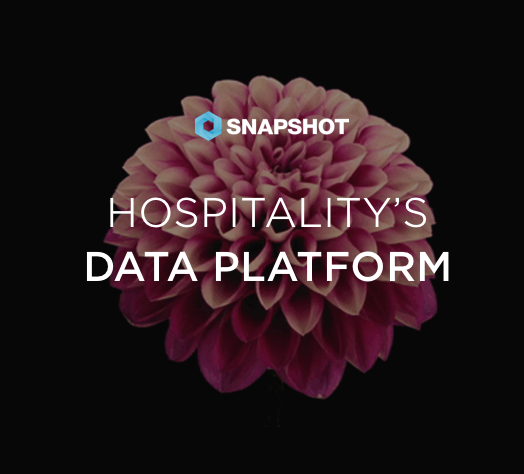 So, rather than skipping ahead to pie in the sky data interpretation—though this is certainly the ultimate end goal—first hotels should consider the framework that allows them to understand and use their data. That framework looks like a platform that brings the spaghetti into one well-organized strand of information that allows all the information to be understood within the context of the greater whole. A technology ecosystem, an integral whole. 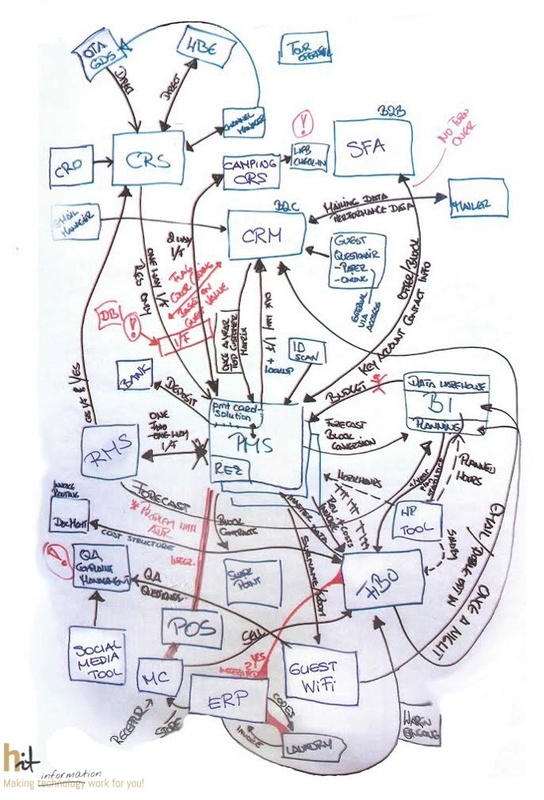 An ecosystem such as this has one point of entry rather than 20 different log-ins. It is a place where hoteliers can make sense of key data that influences revenue management decisions, key distribution strategies, and customer relationship information because the ecosystem gives it context and makes it instantly more usable. The last several years have seen a lot of new ideas—some of them brilliant—around hotel technology. Guest services technology such as smart room keys and electronic in-room concierge services. Screen casting apps, room selection technology, and smartphone apps that facilitate reservations. Mobile technology that allows hotel staff to better communicate. There are hundreds I could list here. Sometimes these technologies are built into an existing technology, such as a PMS, and sometimes they integrate with one. Other times, they operate in their own silo. There is a risk that all these added technologies take us further away from being able to truly serve the guest unless we harness the ability to integrate properly. Integration is the path to a strong foundation. Once that foundation exists, hotels will finally be able to interpret data and innovate. First and foremost, with access to all data in one place, hotels can better report, analyze, and understand guests. This is the means to the end of creating things your guests really want and communicating with them in the ways that your guests desire. (Instead of guessing as we tend to based on the anecdotal evidence of other hotels’ guests.) Bonus: operationally, hotels become far more efficient. Perhaps most exciting, though, is that once data is integrated—once the silos are behind us—hotels can innovate by building their own (pre-integrated) applications, business intelligence dashboards, and customized technologies that really “wow” guests. Guests are after experiences, as the continued clout of Airbnb attests, but just how many different experiences can hotels offer? We would say a great many, but the only way to know what unique offering will appeal to your guests is to get a holistic understanding of not just who they are but how they interact with your hotel and your technology. And once you’ve centralized your data enough to do this, the next step of building custom technologies is a no-brainer.